Sonoma County wine producer Kenwood Vineyards adds value by upscaling its portfolio. Kenwood Vineyards is a Sonoma County pioneer—founded in 1970, long before Sonoma’s American Viticultural Areas (AVAs) were even established. Today, it’s among California’s most recognized wine producers, with a 35-label portfolio and total volume at just under half a million cases. 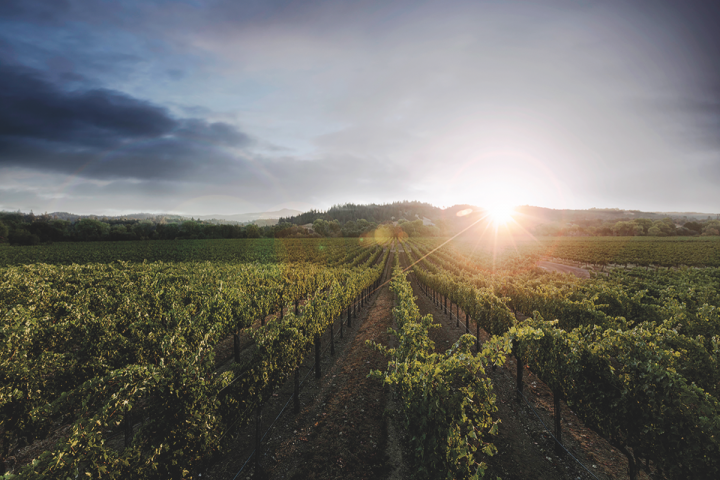 Like many Sonoma wineries, Kenwood has little opportunity for expansion due to the limits of its production permit, which allows a maximum annual output of 500,000 cases. Raising that bar in environmentally conscious Sonoma County would be a difficult, if not impossible, task. Kenwood’s mainstay Sonoma range includes a Pinot Gris, Sauvignon Blanc, Chardonnay, Pinot Noir, Zinfandel, Merlot and Cabernet Sauvignon. Its retail pricing runs from $15 to $22, and total volume is at 300,000 cases. The Six Ridges range, which launched last year, is a notch up the ladder and is at the core of Kenwood’s upscaling strategy. “Six Ridges is our premium tier, positioned above Sonoma County and below the Artist Series and Single Vineyard wines,” Henderson notes. The Six Ridges collection includes Dry Creek Valley Zinfandel, Dry Creek Valley Merlot, Russian River Valley Pinot Noir, Russian River Valley Chardonnay, Alexander Valley Cabernet Sauvignon and Sonoma Coast Sauvignon Blanc. Every lot for these wines is fermented and aged separately before being blended by Henderson. Production for each Six Ridges offering is about 10,000 cases, and plans call for volume to grow substantially in the coming years. Pricing ranges between $22 and $35 a 750-ml. 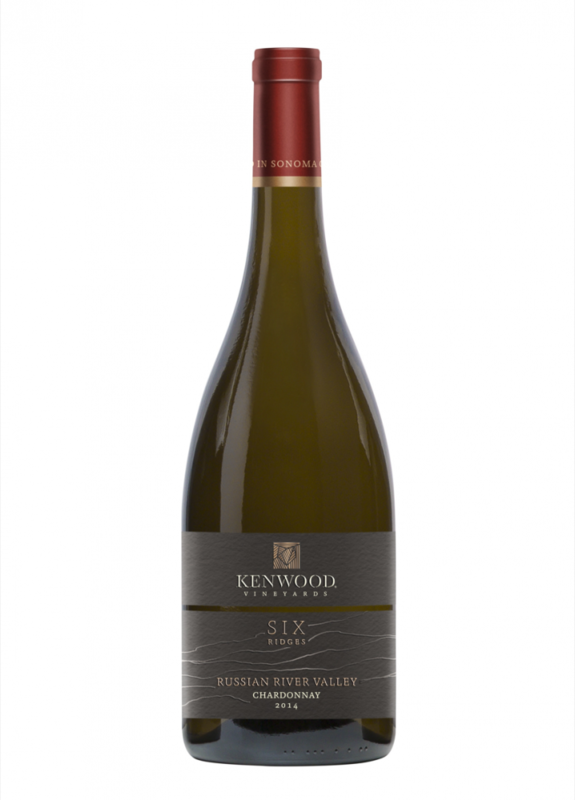 The new Six Ridges collection (Russian River Valley Chardonnay pictured) is Kenwood's premium offering. Kenwood also makes wine from the 130-acre Jack London vineyard in Sonoma, which was once owned by author Jack London and is still in the family. The Jack London property, which Kenwood has managed for the past 40 years, produces Cabernet Sauvignon, Syrah, Merlot and Zinfandel. Prices range from $28 to $35 a 750-ml. The Kenwood Artist Series ($75 to $90) is a top-end Cabernet made with collectors in mind, with production at around 1,500 cases. The Kenwood Single Vineyard portfolio is also getting greater emphasis, with labels including a Cabernet Sauvignon and a Malbec ($36) from Lone Pine Vineyard, as well as a Cabernet Sauvignon from Yoakim Bridge Vineyard ($44). “We’ve been making wine from those two vineyards for decades, but we’ve only been putting them in the bottles as single vineyard wines for two years,” Henderson explains. Kenwood’s other Single Vineyard reds include House Vineyard Zinfandel, Olivet Vineyard Pinot Noir, Kenwood Estate Merlot and Lone Pine Vineyard Cabernet Sauvignon. Whites include the Portola Vineyard Chardonnay, Ricioli Vineyard Sauvignon Blanc and the Green Valley Vineyard Chardonnay. At present, the Single Vineyard wines are sold direct to consumer (DTC) and have very limited production, generally topping out at the 1,500-case range. About a third of Kenwood’s labels are available for the DTC channel. “Our DTC sales comprise around 3 percent to 5 percent of total volume,” Henderson says.